I swung myself up over the side of the narrow ten passenger boat, that would take me into the unknown or at least to “the lesser known.” The boat wobbled unevenly as I made my way to my seat and I immediately noted the absence of life jackets and paddles, as well as the beer in the hand of our “captain” as he fired up the engine. It was 9AM and this was already shaping up to be a ‘Captain Ron’ experience. He had all his eyes but less teeth than Grampa Simpson. 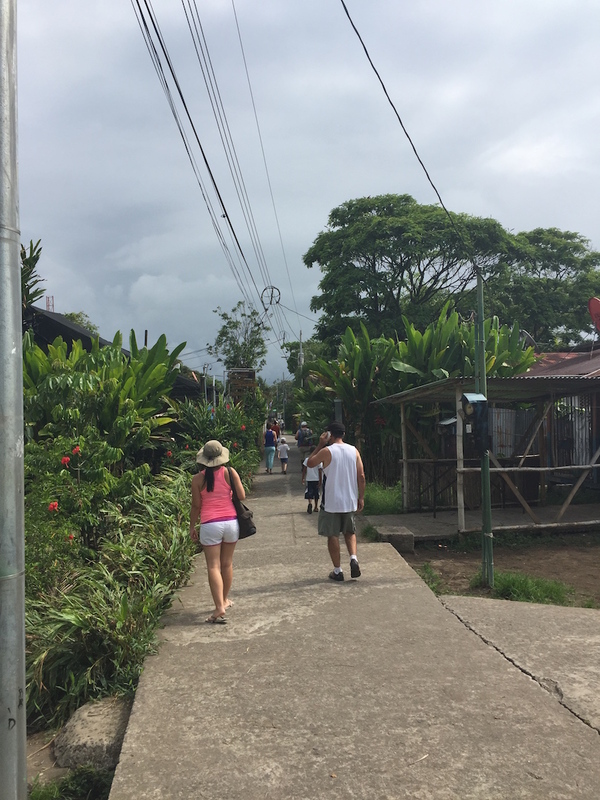 It’s not that difficult to get there…..
realize that just the journey to Tortuguero alone would highlight the trip. 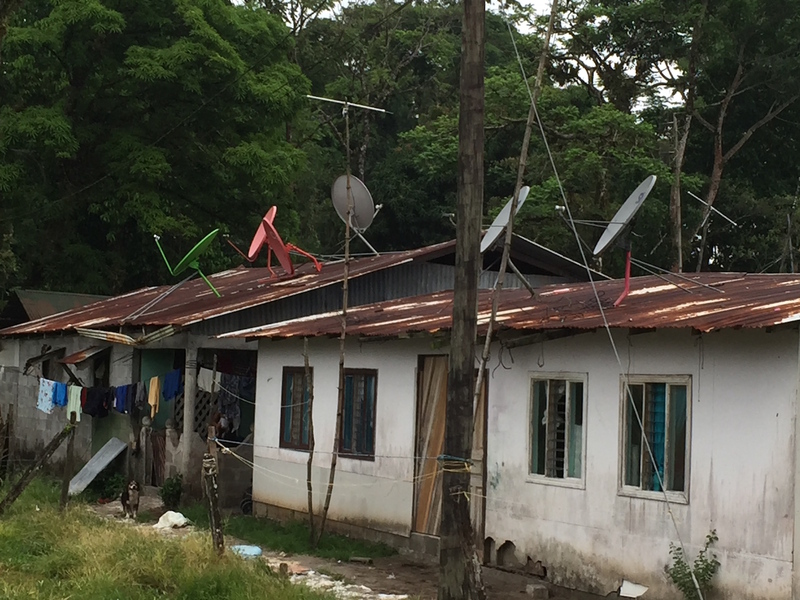 The journey to get to the boat had started in the capital city of San José on paved roads and then continued through a side-winding, hair-raising mountain pass. The route forms a part of a majestic national park, but the scenery is difficult to enjoy when you have to be prepared for landslides, rain, fog, or a broken down vehicle at every turn. After a couple near misses, we came down the mountain pass and hit the hot and sticky Caribbean lowlands. 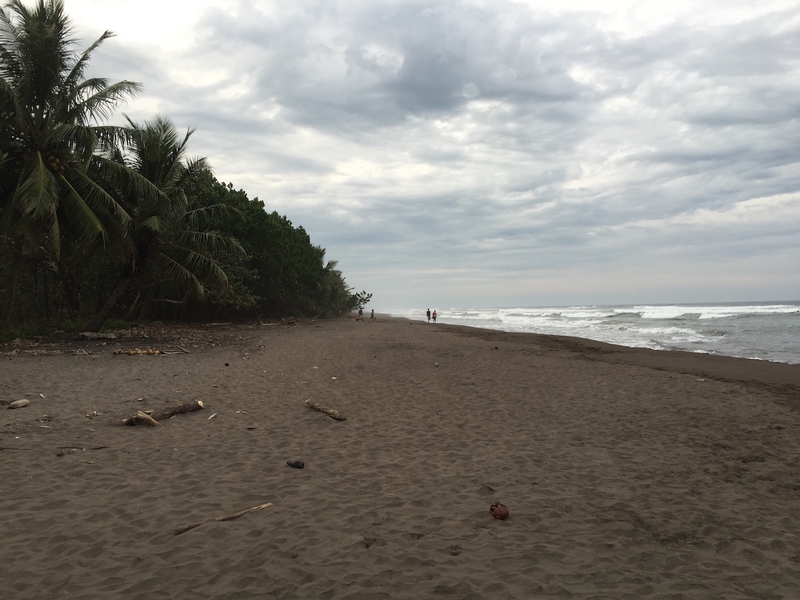 From there the towns became fewer and fewer, the paved road eventually dissipated into gravel, then dirt, and finally, we were at a small boat landing in the middle of a banana plantation. teeming on all sides, muddy waters, and crocodiles sunning themselves on the shore. The waterway was littered with rocks, trunks, and submerged tree branches. 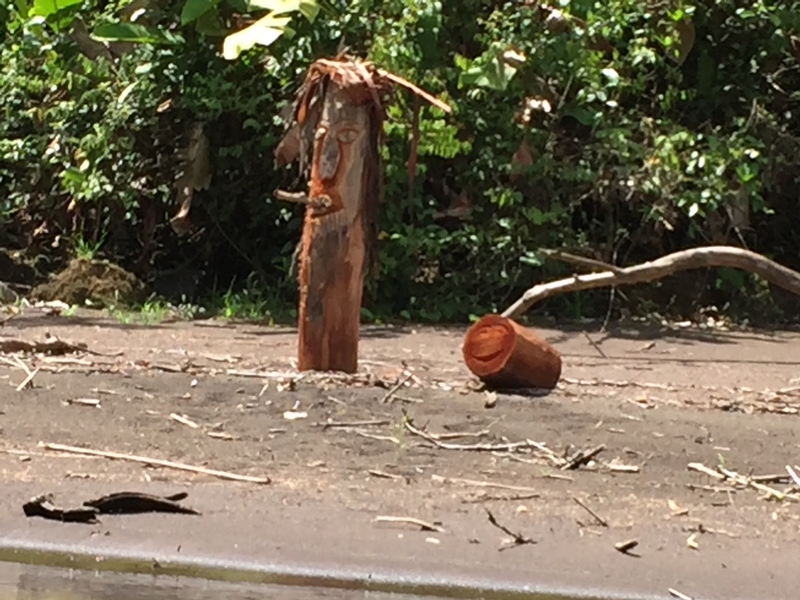 Some of the trunks that had been brought to shore had tribal faces carved into them, almost as if to warn the boaters of their trespassing. From the incessant Cicada bugs to parakeet canopy chatter, the sounds were amazing… The only thing not Jurassic about this experience were the missing dinosaurs. Everything was going well until we had to make a tight pass between two tree trunks. Our boat was about halfway through when there was a big clunk and the motor killed. An eerie, dead silence shuddered through the boat. The casual chatter came to an abrupt halt. We were stopped dead in our tracks, no paddles/lifejackets, and muddy waters with who knows how many predators. I was recalling the tribal carvings and wondering if this was a trap when I heard a splash. Our “captain” had just abandoned ship. Maybe he knew something we didn’t know? 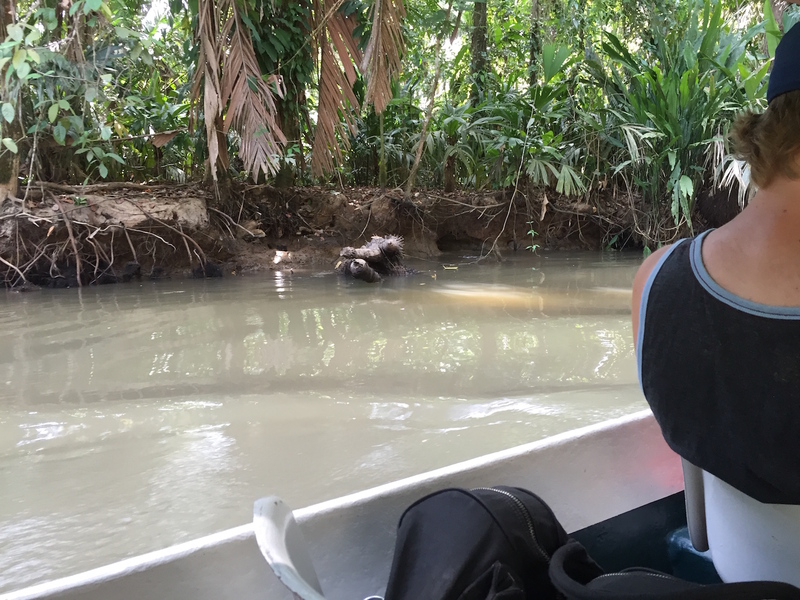 Instinctively, I was waiting for an ensuing crocodile attack, however, the captain emerged the splash, standing in water that was barely knee deep. How could this be? We had just seen Jesus Christ lizards that could run on the surface of the water, but this was unprecedented. Was he an X-men living in exile? He must be on a tree branch or something, I thought, but then he walked right up along side the boat and began washing the place where the clunk had happened. “I don’t like it when they critique me.” he chuckled, as he passed by on his way to the front of the boat, whereas as if were the routine, he grabbed the front of the boat and pulled us through the rest of the pass. What could possibly be in that water?? After a while it turned into a guessing game as to how he would navigate the hazards. I began to notice how he instinctively stayed away from the sandy side of the canal and kept us close to the rocky edge. You could tell he had some experience, or at least instincts when it came to this waterway. I’d find out later that the water level was at a record low, and that only suffering one engine killing clunk was actually pretty impressive. 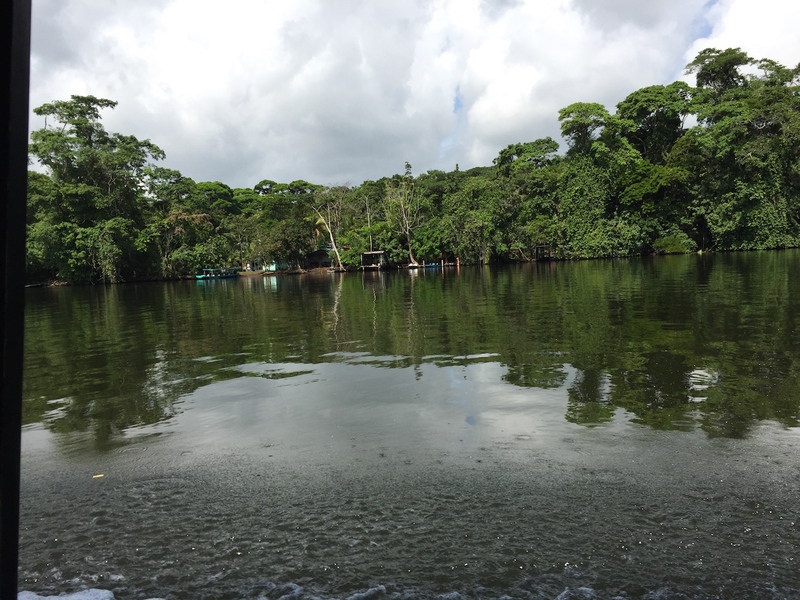 way to Tortuguero, with the exception of a few single engine fishing boats, we were the only ones making a wake. The fisherman all used canoes and the most sophisticated ones had small electric motors to drift in and out of the river inlets and marsh areas. 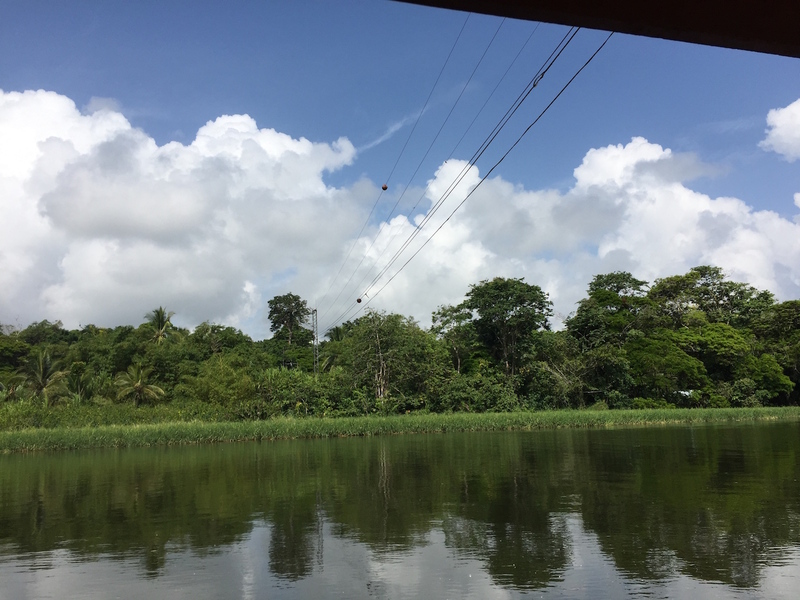 When the captain docked us in Tortuguero, we could all let out a sigh of relief, this officially concluded our adventure for the day. 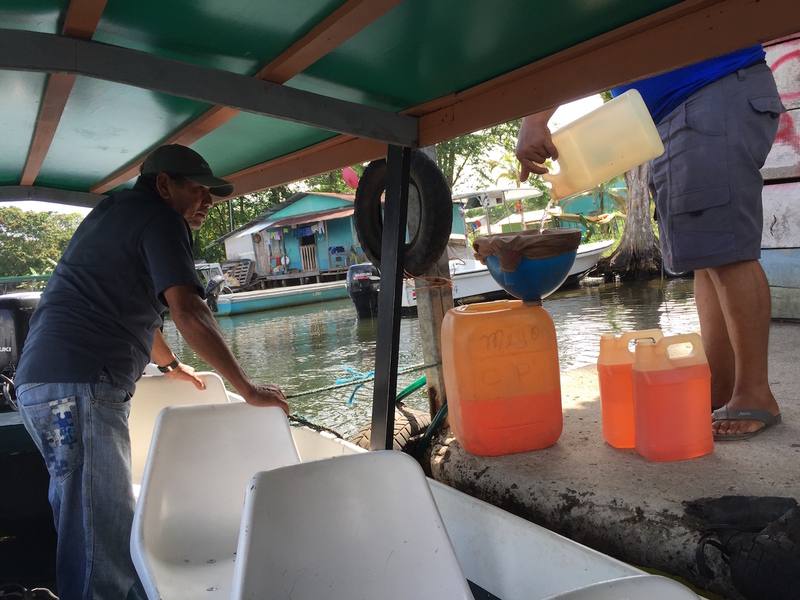 I cherished that sigh as I knew it would only last a few days until we got back on the boat to journey out of Tortuguero and back to the paved land. 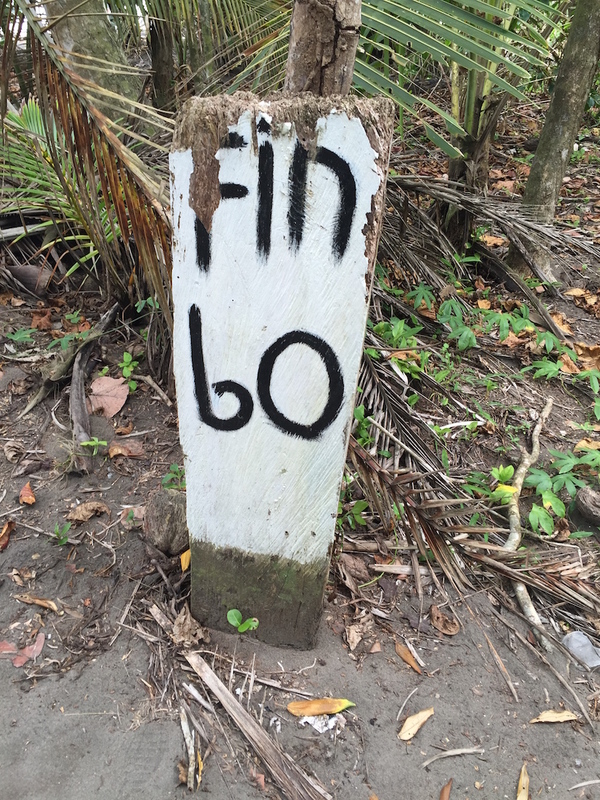 When you reach the end of the trail….